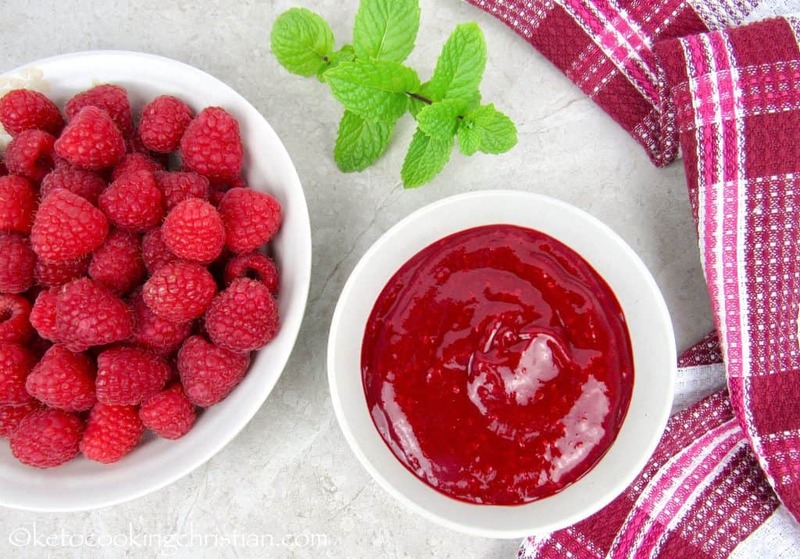 A sweet and very easy to make raspberry sauce to pour over pancakes, ice cream or cheesecake! 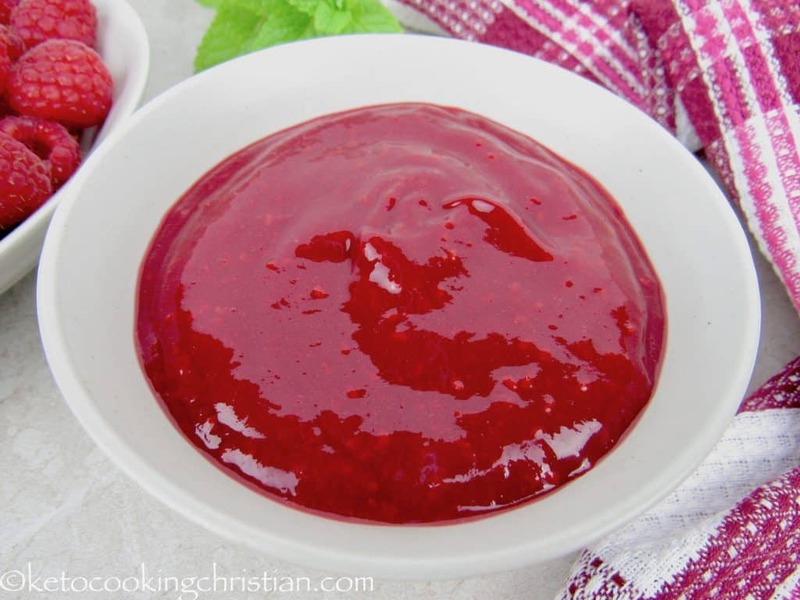 If you are looking for a very quick and easy raspberry sauce to make, you will love this one! I use frozen raspberries, a little lemon juice, water and swerve, that’s it! 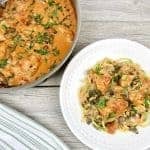 You don’t need any gelatin or Xanthan Gum to thicken it. It’s perfect to pour over pancakes, cheesecake or ice cream! 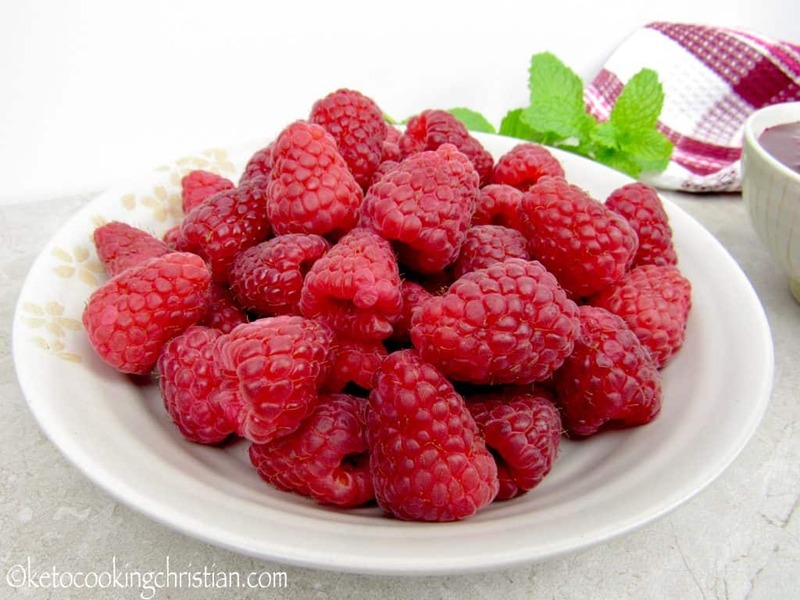 I did find these beautiful raspberries at my grocery store and they were even on sale, score!! So now, of course I need to put them to good use! 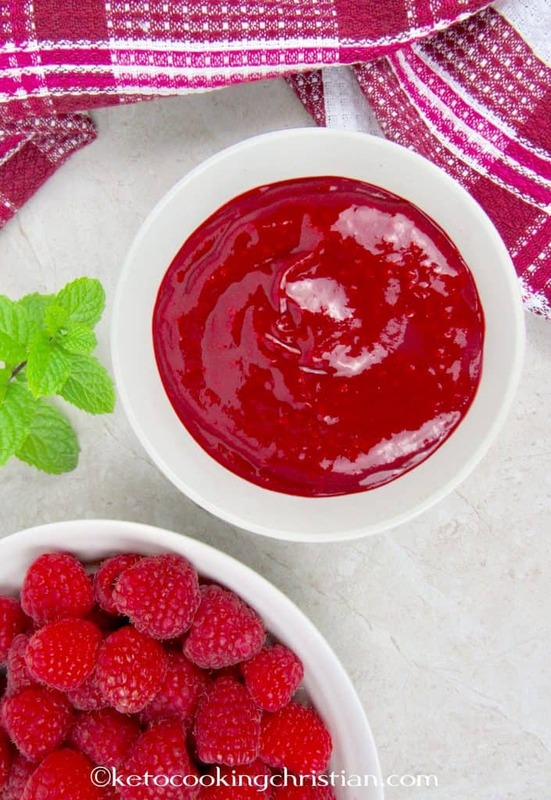 I chose to use frozen raspberries in this recipe because I love the consistency and the lovely juice that they produce when you thaw them out. 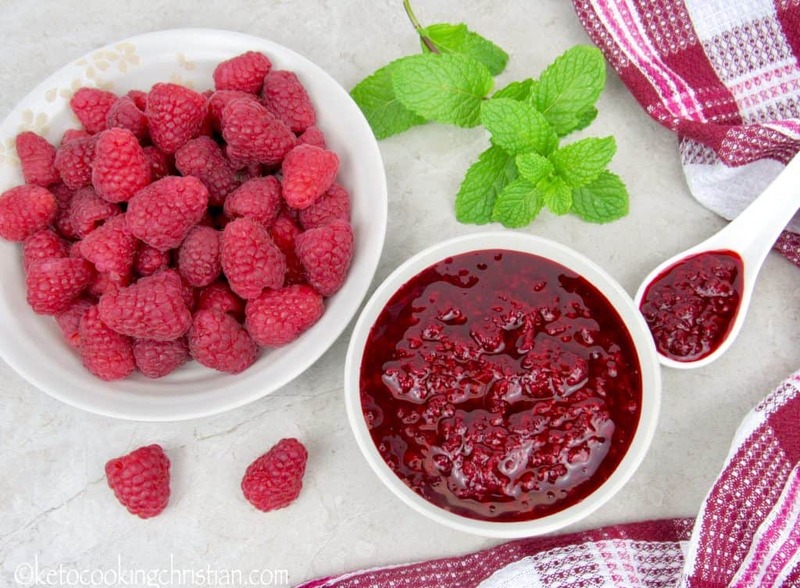 Add the raspberries, swerve, lemon juice and water to a sauce pan and cook over medium heat for 8-10 minutes. 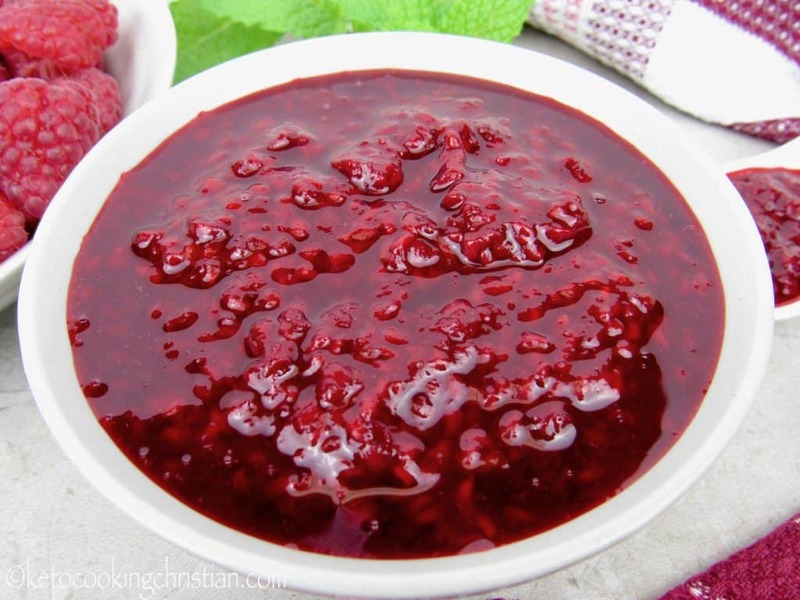 The berries will break down and the sauce will thicken as it cooks. At this point, you can either strain the seeds out, puree in the food processor or leave it chunky. 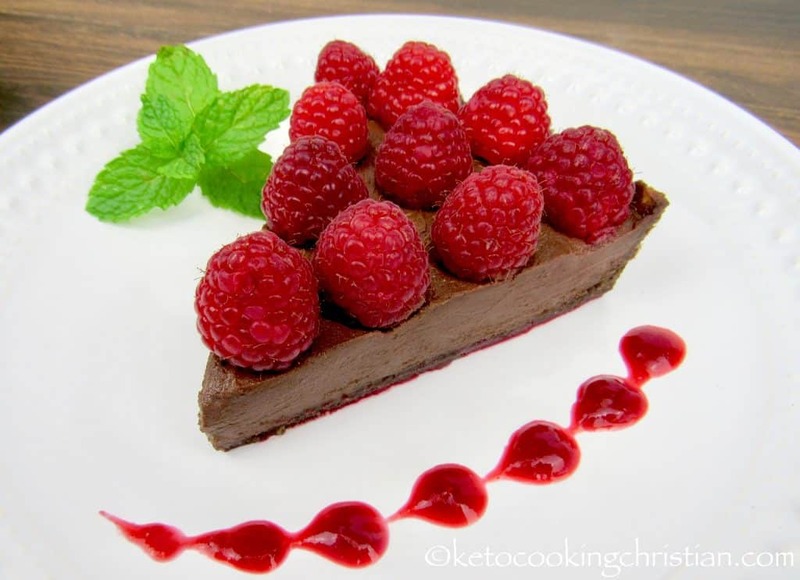 I decided to leave the sauce chunky for my Mini Cheesecakes recipe, but I pureed it to use in my No-Bake Chocolate Raspberry Tart. 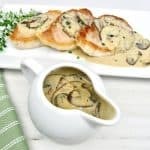 Depending on what you’re using it with, you might prefer a less chunky sauce. You can puree it in a food processor for a much smoother consistency. 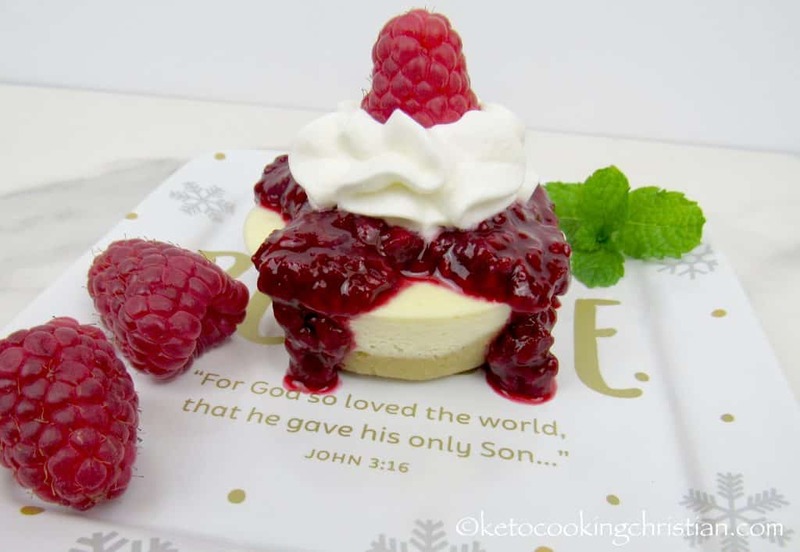 Enjoy this raspberry sauce chunky style, over my Mini Cheesecakes! 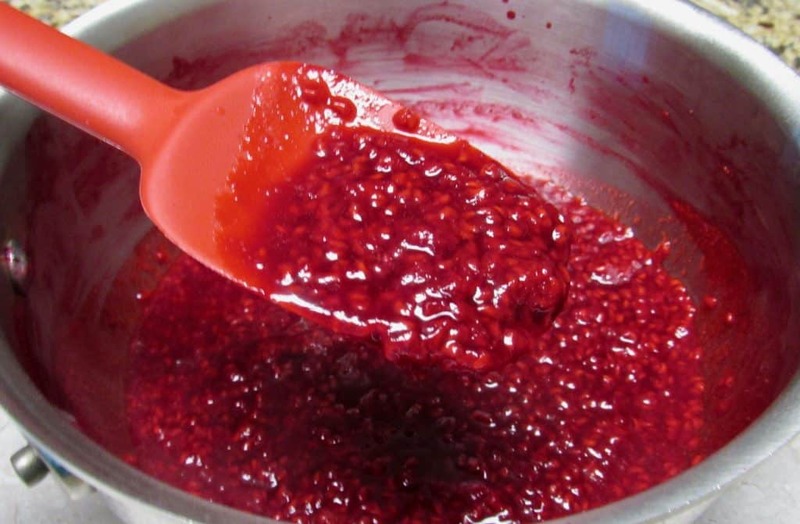 Or puree it to use in my No-Bake Chocolate Raspberry Tart. 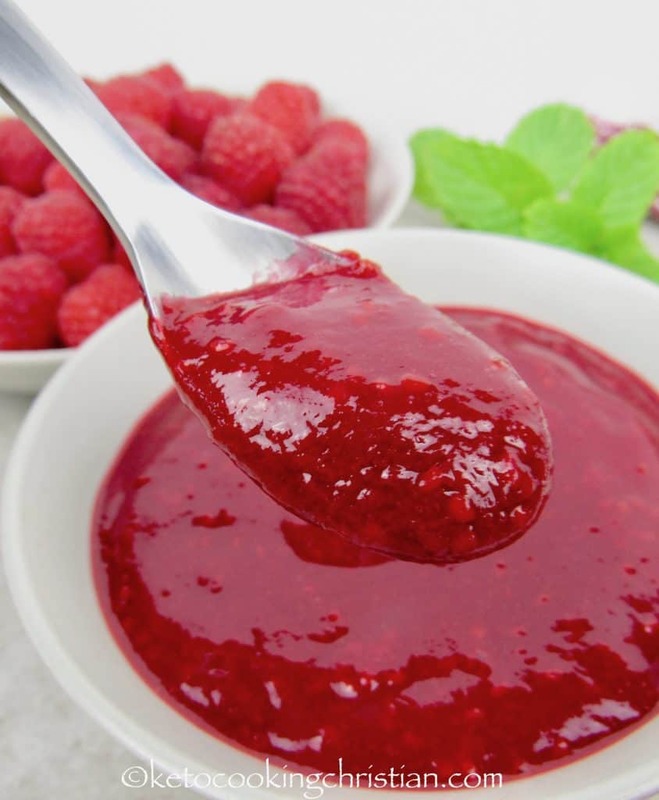 If you are looking for a very quick and easy raspberry sauce to make, you will love this one! I use frozen raspberries, a little lemon juice, water and swerve, that's it! 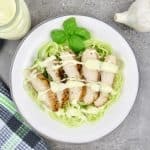 You don't need any gelatin or Xanthan Gum to thicken it. It's perfect to pour over pancakes, cheesecake or ice cream! 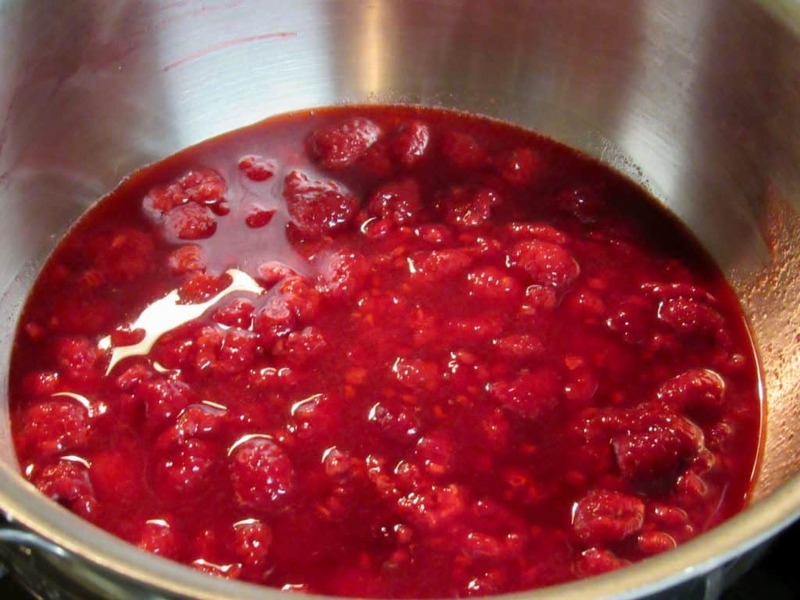 Add the raspberries, swerve, lemon juice and water to a sauce pan and cook over medium heat for 8-10 minutes. 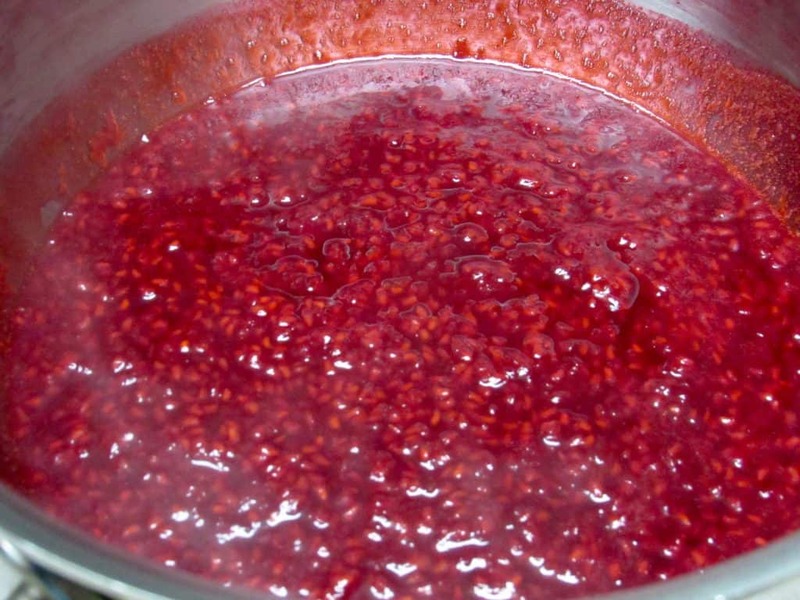 The berries will break down and the sauce will thicken as it cooks. At this point, you can either strain the seeds out, puree in the food processor or leave it chunky. Allow to cool before serving. 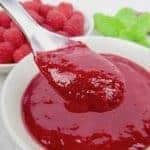 If you prefer a smooth sauce, you can blend it in a food processor, until you get your desired consistency. Serve over ice cream, pancakes or cheesecake. I left it chunky to use over my Mini Cheesecakes, but I pureed it in a food processor, to use in my No-Bake Chocolate Raspberry Tart. Depending on what you choose serve it with, you can decide if you prefer it chunky or smooth. 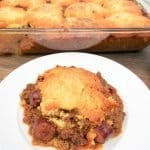 Could you make this into jelly/jam to go on 90 sec Keto bread? Sure you could! You can use either about 1/4 – 1/2 teaspoon of Xanthan Gum or a tablespoon of grass-fed beef gelatin (has no flavor) to thicken it. 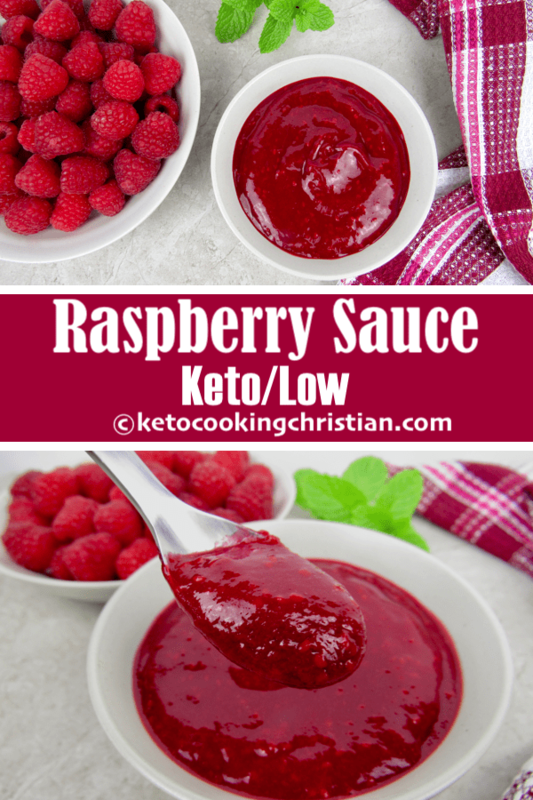 The Xanthan Gum will thicken up right away and you definitely don’t want to use too much or it will get slimey, so I’d start with 1/4 teaspoon and see how it goes. 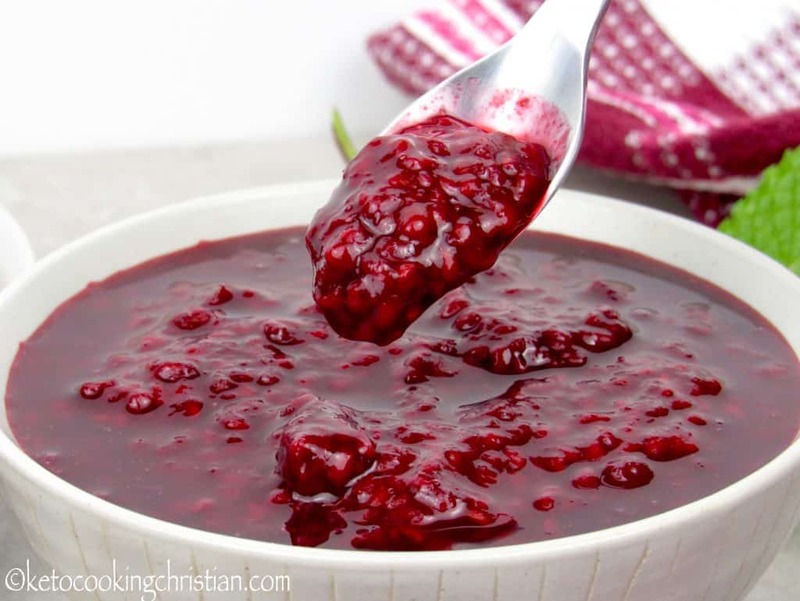 If you use the grass-fed beef gelatin, that will thicken as it cools, but typically 1 tablespoon is enough to thicken it to that jam like consistency. I hope that helps!